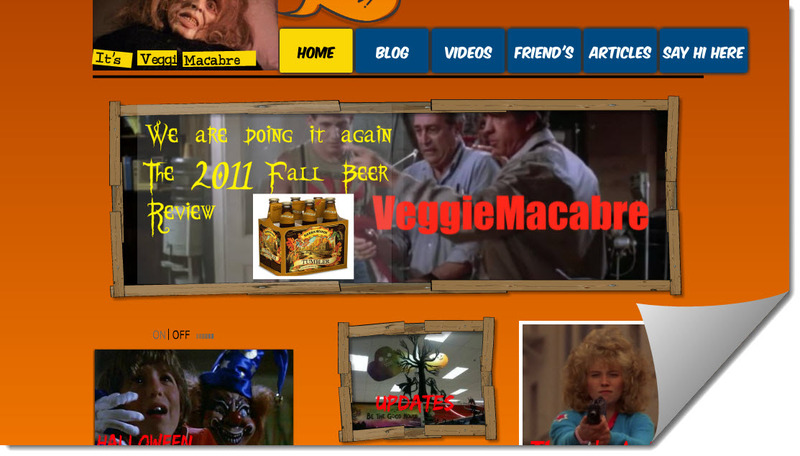 Man, a lot has been happening over here at VeggieMacabre.TV and the fun is far from over. If you care to check it out you’ll see there are a few changes but the Halloween theme is still the main focus until November first. I’ll be focusing on the annual beer reviews, spooky road trips, various video nonsense and pretty much anything that doesn’t reflect my age. And if you couldn’t tell that from visiting, then I am an astronaut who has an affinity for fine chinchilla-skin socks that I raise on a farm in the South Hamptons. Whatever. As you can see a few menu items have changed including a “Say Hi Here” page and you really should say hi there. Seriously, say hi there and like it on Facebook. A lot. Also I have changed the article page and turned it into an interactive book with links to various articles from today and years past. I fully intend to make this the War and Peace of the web. War and Peace if Tolstoy was into beer, horror and running. I don’t think he was, was he? Anyway, this is pretty cool and not too difficult to browse. 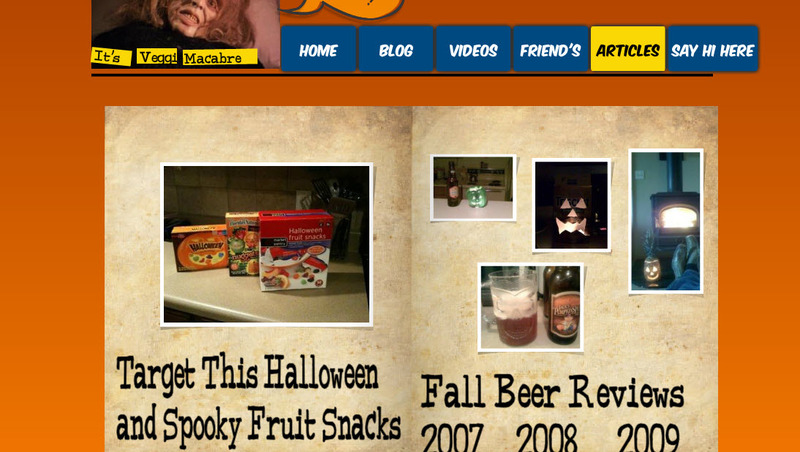 Tomorrow is when I rock the FIFTH annual Fall Beer Review. If I had a kid when I started these he/she would be talking and not shitting his/herself anymore. Stay tuned and wang-chung. Target Is Off-Target…Fruit Snacks.Halloween. Dinosaurs. All well and good, Will-Bill, but your website is NOT dumb. Sorry to shoot down your humble show. Aw thanks, Rev. I’m glad you’re around. Dude I missed your show this passed Saturday! I was out of town. It won’t happen again. Ain’t no thing. I’m sure you have a life on Saturday night that doesn’t always involve listening to me ramble on. I was a little off my game last week anyway. Planning some much better stuff for this week.